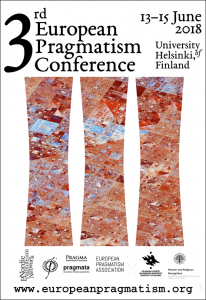 The third European Pragmatism Conference will take place at the University of Helsinki, Finland, in 13-15 June 2018. 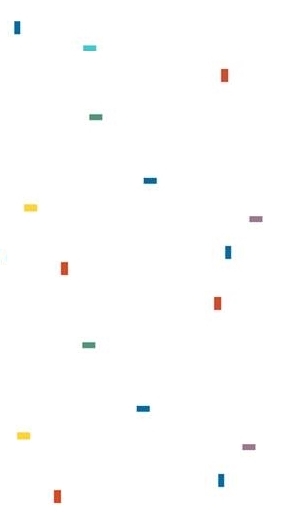 The conference is organized by the Nordic Pragmatism Network in collaboration with Associazione Pragma (Italy), Pragmata (France), the Central European Pragmatist Forum and the European Pragmatism Association. The conference will take place in the University of Helsinki main building, “new side”, address Fabianinkatu 33. Please note that the Fabianinkatu entrance is to the first floor of the building; the Unioninkatu entrance on the Senate Square side is to the second floor. The conference will be opened in the small festivity hall on the 4th floor. Sessions will take place in halls on floors 3, 4 or 5. Refreshments will be served in the lobby of the second floor. See the updated conference programme (2 June). Please note that the name of the panel organizer is underlined in the programme. The panel chairs are listed separately. The programme may be subject to minor changes. See below for more information about the Women in Pragmatism breakfast meeting. We recommend downloading the conference programme and other materials to your laptop or other mobile devices. To save both trouble and the environment, we will not provide printed copies on spot. The programme includes receptions hosted by the University and the City of Helsinki. The receptions are for conference speakers and organizers. An invitation to the reception hosted by the City of Helsinki will be available at registration. The European Pragmatism Conference offers an ideal venue to discuss and promote positive action toward gender equality in the discipline of philosophy more broadly. This meeting is a first step toward capitalising on the strong legacy of Pragmatism to address issues and concerns around equality and diversity, but also to share examples of good practice. Women at all career stages presenting or attending the European Pragmatism Conference are invited to participate in an informal, exploratory breakfast meeting where we will discuss opportunities for further networking and the possibility of informal peer mentoring, especially for early career researchers. The overall aim is to make the presence of women and under-represented groups in Pragmatism more visible, and we shall explore whether there is any interest in setting up a more systematic working group as part of the future activities relating to the conference. The meeting takes place in Fazer Café, address Kluuvikatu 3, on Thursday, 14 June at 8:30 am (see programme). Conference participants other than speakers are required to register their participation using an online form by 21 May 2018. Registration is free of charge. The conference does not provide funds to cover participants’ expenses. Speakers have registered when confirming participation, and no separate registration is required. The conference programme will consist of half-day, four-speaker panels. The organizers invite four-speaker panel proposals exploring and applying pragmatist ideas to issues and debates in all fields of philosophical inquiry, as well as special sciences. Pragmatism being the overall theme of the conference, we encourage the panel title to rather reflect its particular topic. The submissions are expected to include a clear description of the panel’s contribution to its field of inquiry. Coherence within the panel topics and themes is considered a merit. The organizers recommend that no more than one of the four speakers on a panel is from outside of Europe (not affiliated with a European institution). Please note that a speaker can participate only in one panel. Please submit your panel proposal via our online electronic form. Submissions deadline is at midnight on 15 November 2017. Please follow the instructions (including word limits) given and save the contents of your submission separately in case of technical difficulties. We expect to announce the results of the call by 5 January 2018. The organizers invite presentation proposals exploring and applying pragmatist ideas to issues and debates in all fields of philosophical inquiry, as well as special sciences. Pragmatism being the overall theme of the conference, we encourage the presentation title to rather reflect its particular topic. 45 minutes (including discussion) will be allotted for each individual paper presentation. The time is fixed and cannot be exceeded. We expect presenters to reserve at least 10 minutes for discussion. The submission abstracts are expected to include a clear description of the paper’s contents and its contribution to its field of inquiry. Please submit your paper proposal via our online electronic form. Submissions deadline is at midnight on 15 November 2017. Please follow the instructions (including word limits) given and save the contents of your submission separately in case of technical difficulties. We expect to announce the results of the call by 5 January 2018. The conference is hosted and sponsored by the University of Helsinki, the Academy of Finland Centre of Excellence Reason and Religious Recognition at the Faculty of Theology, and the Finnish Cultural Foundation. Poster / image credit: Jukka Nikulainen, inspired by Boxtail.